That’s the last thing the National Football League and Commissioner Roger Goodell would want to come from a playoff game. If you have been in a coma since Sunday morning, this is what took place. Late in the New Orleans Saints/Los Angeles Rams game to decide who goes to the Super Bowl, Saints’ quarterback Drew Brees launched a pass down the right sideline, intended for wide receiver Tommylee Lewis. 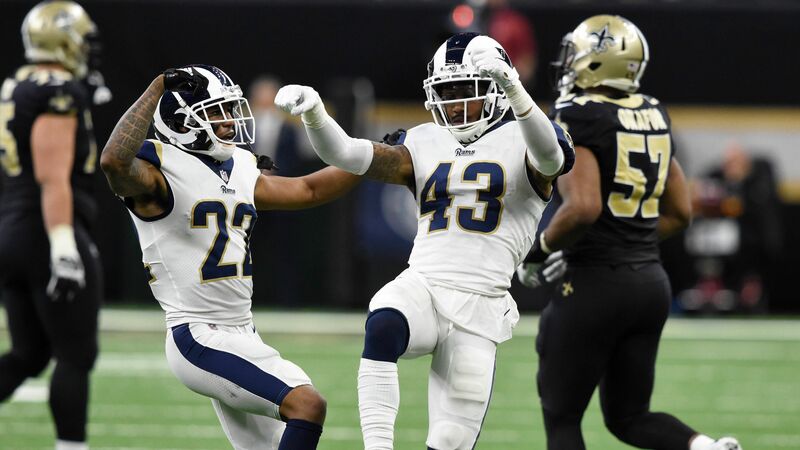 Rams defensive back Nickell Robey-Coleman, beaten on the route, plowed into Lewis, willing to exchange a pass interference penalty for a game-winning touchdown. To the surprise of everyone in the building and watching on TV, no penalty flag was forthcoming. The Rams won the game, but the Saints fans grieve on. After the game, the sign over the Lake Pontchartrain causeway aired out grievances. NFL fans are a passionate lot. Is there redress possible? What can address the valid grievances experienced by Saints fans? …there is a rule in place that would allow Commissioner Goodell to overturn the unfair outcome. In fact, Rule 17, Section 2, Article 1, as noted by Pro Football Talk’s Mike Florio, does exist. Toward that end, a New Orleans attorney has filed a class action lawsuit on behalf of Saints fans. The suit demands that Goodell to step in and right the wrong. Essentially restarting the game with a couple of minutes to go, with the Saints having the ball, first and goal. Silly stuff, to be sure. But, is there more at stake than Saints angst? Indeed there is. Millions of people held losing betting tickets on the Saints, but those tickets would have cashed had the Saints kicked a game-winning field goal. As sports gambling becomes ever more prominent through the Supreme Court ruling that took down the prohibitions against it, the stakes increase. Sadly, the stakes aren’t high enough to send the Saints to this year’s Super Bowl…which is where they belong.